In some places, you can stretch that Benjamin by up to $15. 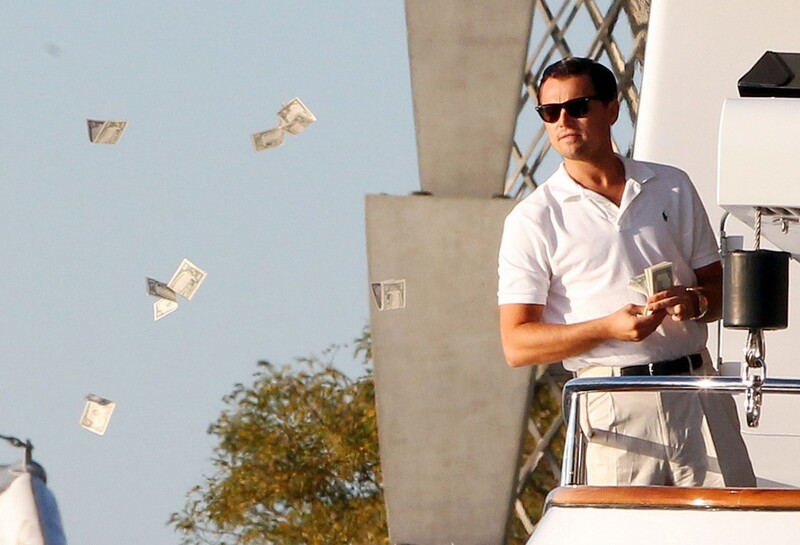 When you’re a kid, receiving a $100 bill is a right of passage—you suddenly start to know what real power feels like. But with that power comes a certain cautiousness. You know you shouldn’t blow that bill on just any old toy. As we become adults, we realize that $100 can be child’s play. After all, we pay bills totaling more than a measly hundo—but did you know that our dollar actually stretches depending on where we live? The Tax Foundation released a map of the United States showing where $100 stretches the farthest. For example, you’ll get more bang for your buck in the Midwest and Deep South. 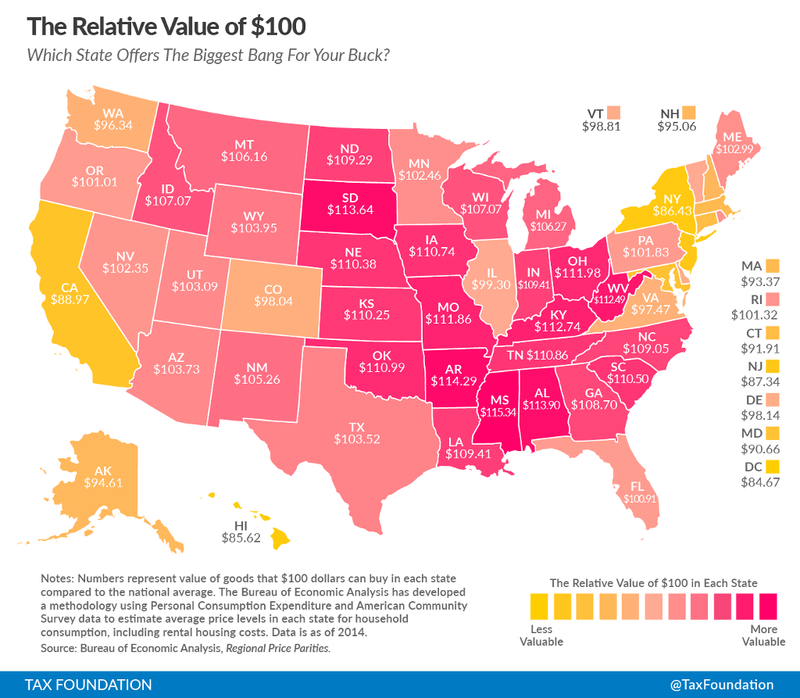 The highest relative values of $100 are in Mississippi and Arkansas, where that Benjamin is worth a whopping $115.34 and $114.29, respectively. The relative value depletes in states with a higher cost of living. In states like New York and Hawaii, that hundred has relative values of $86.43 and $85.62—yet they’re still not the states with the lowest value. Washington, D.C., the city where our currency is printed, has the lowest relative value at just $84.67. This information is enlightening for those interested in personal finance, but it should not necessarily determine where you decide to move in the long run. For example, the average income in California is high, and the relative value of $100 ($88.97) reflects just that, but the average income in North Dakota (relative value $109.29) is also high, with lower consumer prices. Crazy to think about, right? How does your home stack up against other states?